COTA NT traditionally supports International Volunteers Day with a luncheon for staff and volunteers. 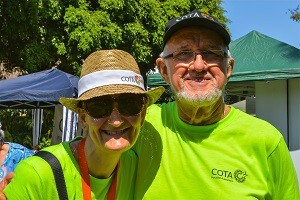 In this way, it offers a thank you to its team of committed, hard-working senior volunteers who volunteer their time, skills and resources to COTA and to seniors in the Northern Territory. Without them our program of work would not have the success that it does.